When Rip Trippers and Digiflavor released the original Pharaoh Dripper Tank it quickly became a favorite for many vapers due to its innovative design and excellent performance. For us, here at Vaping Cheap, it’s still one of our go to atomizers! Now, Digiflavor and Rip Trippers is back with the Pharaoh RTA which is quite different from the original, but still has some familiar aspects. Before getting any further, I would like to thank Heaven Gifts for sending me this atomizer for the purposes of this review. I will go over my first impressions, building and wicking, performance, pros and cons, and conclude with whether or not I recommend this atomizer! Click Here to Check Out the Digiflavor Pharaoh RTA! When I first received the Digiflavor Pharaoh RTA, I immediately noticed the familiar packaging. This is the same type of packaging the original came with, except this one was a bit bigger. Included in the packaging, you do receive the atomizer itself, an expansion tube, a spare glass tube, 1 Allen key, a bag of spare parts and a user manual. I will state right away, it’s a huge pro that they included the expansion tube. Granted this does make the tank a bit larger, but still being able to add another 3ml of e-liquid into a tank that already holds a decent amount of e-liquid is great. Not to mention, all of the other extras that are included as well is a huge pro such as the different colored o-rings, spare glass tube and more. My first impressions of the Digiflavor Pharaoh RTA was that this tank is large. This is definitely a big tank, so if you’re a fan of smaller atomizers, then this one is certainly not for you. Now, most atomizers being released are 24mm and larger, so to me, it’s not that big of a deal. The base diameter of the Pharaoh RTA is 25mm, but it does bulge out to around 27mm. Also, I do want to mention that there are 3 different colors available, which are black, stainless steel and gold. Something else worth mentioning is that this tank is heavy! The Pharaoh RTA has some serious weight to it, and I was quite surprised when I first held it in my hands. So, if you do put this on a lighter mod, do be careful since this tank might tip it over due to its weight. However, I do like the weight it carries, it makes it feel solid. The overall quality of this atomizer is top notch. All of the threading was excellent with no burs in sight. Also, this tank came with literally no machine oil, which is a huge pro in my book! If you’ve read our previous reviews, you know we do hate when atomizers come loaded with machine oil. One rinse with warm water and soap and this atomizer was good to go! All in all, my first impressions of the Digiflavor Pharaoh RTA were positive! Everything about this atomizer screamed quality. 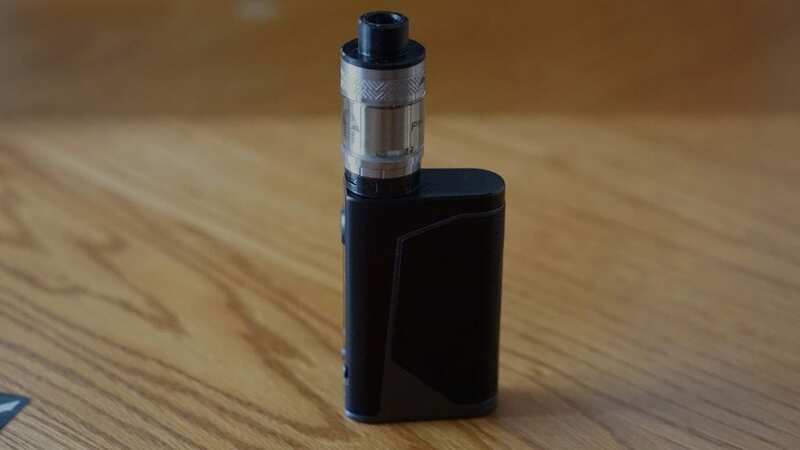 Like mentioned previously, the Digiflavor Pharaoh RTA does have some familiar features when compared to the original, and one of them is the build deck. While it is quite the same, the screws have been upgraded. This atomizer features a spring loaded clamp styled build deck, so installing your coil is incredibly easy. You can probably do a dual coil build with this build deck, but honestly this deck is meant for your large single coils. 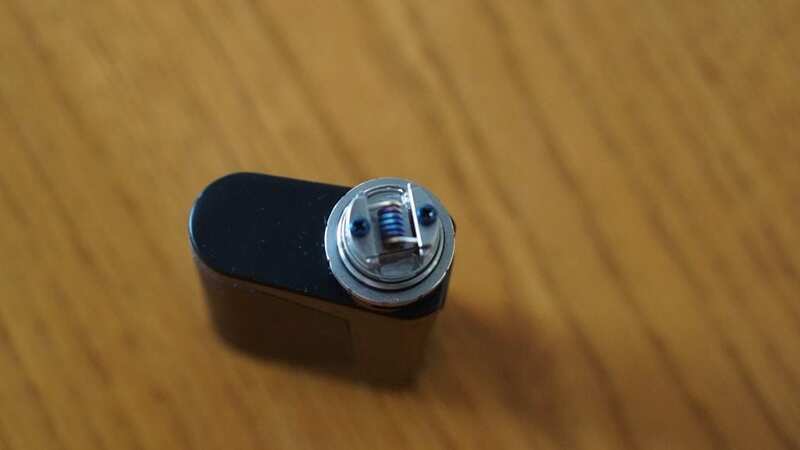 I do recommend when you’re wrapping your coil that you have each lead facing opposite directions, this will make it so you can easily slide them into the clamps. I was able to easily fit a large single fused Clapton coil (3mm diameter) build with ease. The inner wires of this coil build with 24GA SS316, and the outer wire was 36GA SS316, so this was a rather thick coil build. This build had a resting resistance of around 0.17 ohm. I’m sure you can easily fit any type of coil build in this RTA with relative ease whether it be Aliens, Staggered Fused Claptons and more. Wicking this RTA is also quite easy. Now I did wick this RTA the same as Rip Trippers did in his video, but honestly I felt no need for it. 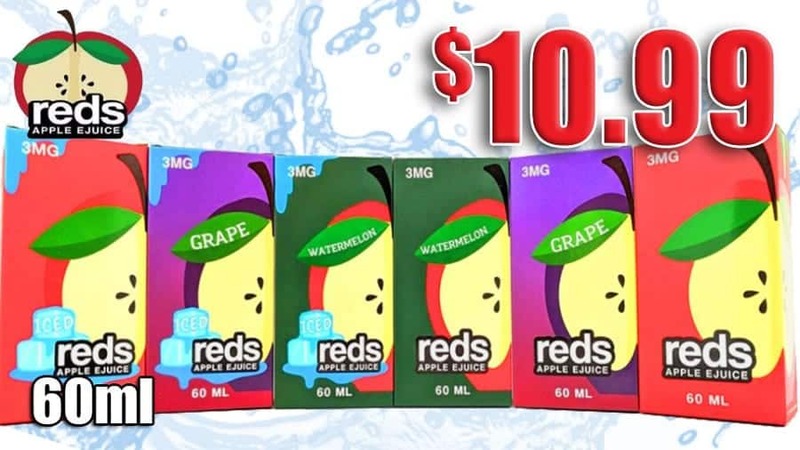 I wicked it how I would any other RTA with this type of juice channel and it worked just fine. However, be sure that you do cover the entire wicking channel with cotton. Failing to do so will result in leaking. All in all, building and wicking the Digiflavor Pharaoh RTA is pretty easy. If you’re an experienced user, youâll have zero issues with this one. I would say the beginner would have little to no issues as well due to it’s easy to use build deck and generous wicking channels. The biggest question of this review is how does this RTA perform, well I can certainly say it has excellent performance! I do want to say that this is a different vape experienced when compared to the Digiflavor Pharaoh Dripper Tank, as this atomizer does offer more in regards to airflow and is designed quite differently. Like mentioned previously, my preferred coil build for this atomizer was a Single Fused SS316 Clapton which had a resting resistance of 0.17 ohm. My preferred wattage for this build was between 55w and 65w. I did vape this build in temperature control mode, and while it performed well, I just prefer regular wattage mode. There are other build decks available for this RTA, but even if I had them, I’d stick with the one included. I simply love this build deck, and being able to fit a gigantic single coil and get great flavor and vapor production is great. Before getting too much into flavor and vapor production, I do want to mention the drip tip. You can use your own 510 drip tip with the delrin insert, but honestly most of your drip tips probably won’t look the greatest since it’s not flush with the top of the tank. This is a con for me since I know many vapers would love to use their preferred 510 drip tips and have it look good. Even though this is the case, I must say that this drip tip is comfortable to use and did not get hot whatsoever even though it is stainless steel. Now, getting into the flavor and vapor production. The flavor you get off the Digiflavor Pharaoh RTA is top notch. However, this is the case only when the top airflow is fully closed. When you open up the top airflow, it simply mutes the flavor in my opinion. Now, if you want plumes of vapor, then opening up the top airflow is what you’d want. If you open it just a little bit and close off the bottom airflow a bit, it does help with flavor, but it still vapes much better with the top airflow closed. For me, it’s not worth opening the top airflow since you do get great vapor production even when it’s closed, and the loss of flavor is just not worth it in my opinion. It’s great you have the top airflow option, but for me, it had no use. I do want to mention that adjusting the bottom and top airflow is very easy. Also, filling this RTA is very easy and the threads are buttery smooth. It does have juice flow control (which is a pro), so when you are filling make sure to close it off. I do want to mention that I did experience some minor leaking when the juice flow control was fully open. This RTA wicks incredibly efficiently, so I found myself leaving the juice flow control just about half way open. Even when I packed this RTA with cotton, and did it the Rip Trippers way, it still resulted in some minor leaking with the juice flow control fully open. It could be that I wasn’t wicking it properly, but I would say just leave it about halfway open when vaping and you’ll be just fine. When chain vaping with my preferred coil build at higher wattages, it had zero issues with wicking. With the expansion tube, it does add about 3ml of e-liquid, which is great. I found myself using this when I had long trips or when I didn’t feel like filling often. I didn’t use it too much, but it’s still a huge pro they included it. You do lose a bit of flavor when adding the expansion tube, but not by much in my opinion. This is of course to be expected since the vapor has more travel distance before it reaches your mouth. For those vapers looking for a tank to hold massive amounts of e-liquid, you’ll love the included expansion tube! All in all, the performance of the Digiflavor Pharaoh RTA was excellent. Even though I did run into small leaking issues, it still is an incredible performing RTA. In conclusion, the Digiflavor Pharaoh RTA is an excellent performing atomizer, and has climbed its way to becoming one of my favorites. While it’s not the best RTA ever created, it’s definitely a solid one, especially considering its price point. The included spring loaded clamp styled build deck makes building on it very easy, and it is also very easy to wick. Like mentioned previously, just be sure those wicking ports are filled generously with cotton, and honestly there’s no need from experiences to keep the juice flow control completely open. The flavor I get with just the bottom airflow open is top notch, and was quite surprising when considering it’s a single coil. There are a few cons that were mentioned such as the minor leaking issues, and the top airflow muting the flavor, but honestly none of them are deal breakers. The overall performance is just stellar. All in all, the Digiflavor Pharaoh RTA is a great performing atomizer that includes a ton of extras. With the other optional build decks, you can utilize dual coils if you desire, which is great. If you’re a fan of the original or looking for a new single coil RTA that can hold a massive amount of e-liquid, then I can easily recommend the Digiflavor Pharaoh RTA!